The U.S. Department of Agriculture recommends that everyone get at least three servings of dairy per day. Drinking milk is an easy way to boost your consumption of dairy products, but some evidence suggests that it could affect your estrogen levels, even if you are a man. Discuss your milk and dairy intake with your doctor to make sure it is appropriate for you. Although many people think of estrogen as a female hormone, men naturally produce some estrogen. Estrogens are a class of hormones that affect the reproductive system and other physiological functions of men and women. Having low estrogen levels may affect male fetal development, metabolism and risk of chronic diseases, and having high estrogen exposure can be damaging to your health. Dairy cows naturally produce estrogens that are transferred to their milk. According to Ganmaa Davaasambuu, a physician and scientist at the Harvard School of Public Health, dairy products account for 60 to 80 percent of the estrogen consumed in the typical American diet. Drinking large quantities of cow's milk may significantly increase your estrogen levels. These hormones in milk have the potential to increase your risk of prostate cancer and reduce fertility, according to Davaasambuu. Like cow's milk, soy milk contains some estrogenlike compounds. These phytoestrogens, found in several types of plants, have different effects than naturally produced human estrogens. Phytoestrogens can both mimic and counteract the effects of natural estrogen, regulating the estrogen activity in your body. According to the University of Maryland Medical Center, eating soy products may reduce your risk of prostate cancer, although the center also notes that the population studies this finding is based on are "hard to interpret" and otherwise not definitive. A case study published in the July-August 2011 issue of "Nutrition" suggests that soy milk may cause other health problems. In the case study, a 19-year-old male experienced loss of libido and erectile dysfunction after eating large amounts of soy products. 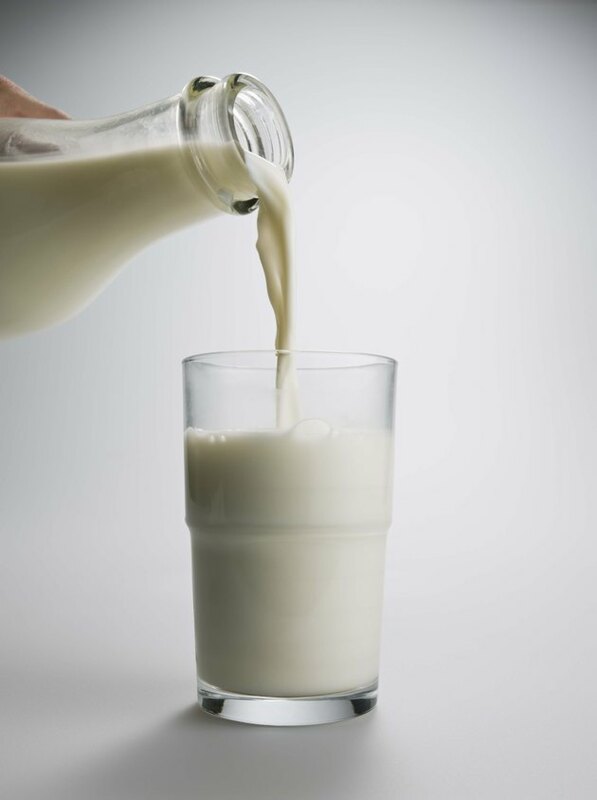 Although drinking milk may increase your estrogen levels slightly, most healthy men do not experience ill effects from consuming moderate amounts of dairy products. Milk is a good source of calcium, vitamin D and protein. Soy milk also provides protein and is often fortified with vitamins and minerals. Before significantly changing your milk consumption, talk to your doctor to make sure it is safe for you.